Applications are invited for the temporary Project Fellow position to engage in Department of Science and Technology – Science and Engineering Research Board funded major research project entitled “Development of surface-charged impregnated plasmonic gold nanoprobes for enhanced photodynamic therapy and mitochondrial dysfunction in human breast cancer cell line(s)” under the guidance of Dr. P. Kumar, Principal Investigator, Molecular Cancer Biology Lab, Department of Animal Health and Management, Alagappa University, Karaikudi – 630 003. First class M.Sc., in Zoology/Genetics/Biotechnology/Biomedical Sciences/ Biochemistry or any related branch of Life Sciences with core hands-on experience in handling cancer cell cultures and molecular biology based experiments. The experience specified should be supported by dissertation or publication or certificate from the supervisor. 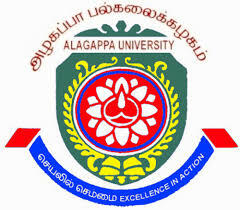 Ph.D Registration: The selected candidates would also be considered for Ph.D., registration at Alagappa University under the supervision of Principal Investigator as per the University norms. How to apply: Interested candidates should send 2 copies of curriculam vitae along with a letter stating their specific interest, motivation and qualification for the project (maximum two pages). In addition to this, self-attested copies of consolidated mark statements, reference letter from research supervisor, experience certificates and other relevant documents should also reach the following address on or before 18th June, 2018.